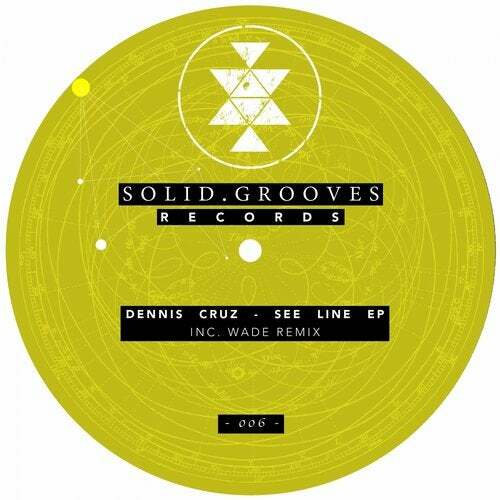 Madrid native Dennis Cruz makes his Solid Grooves Records debut with three rumbling cuts including a remix from fellow countryman Wade. Since his debut in 2010, Cruz has become a staple in Beatports charts, not to mention the sets of artists such as Marco Carola, Joseph Capriati, Nicole Moudaber, Yousef and Roger Sanchez. Throughout this time the likely producer has dropped releases on Saved, Deeperfect, Stereo Productions and Kinetika, not to mention his very own imprint Lemon-Aid Music. He now arrives on PAWSA & Michael Bibis Solid Grooves Records, joining the likes of Wade, Kuo Climax and Rockwell & Landers for an exciting second year for the label. Initiating with the sound of a roaring crowd, See Line was produced with the dancefloor in mind using thudding kicks, arcane vocal samples and an energetic rhythm. Heads or Cruz is a more low-slung number with a focus on a killer groove, whilst Bienvenido engages in a medley of percussive elements geared for peaktime antics. Tying the package together, Wade remixes See Line to give it his signature twist whilst ensuring the heady vocals reiterate throughout.